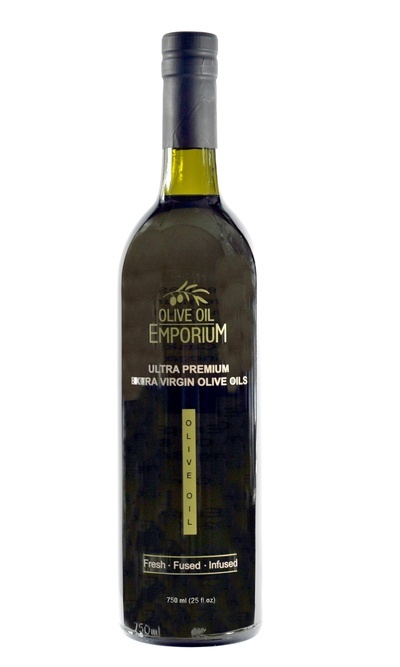 / Picual Reserva Familiar Extra Virgin Olive Oil "Oro Bailen"
Description: A perfect example of a well made Spanish Picual, crafted by one of the world's most decorated producers, Oro Bailen. Consistently winning awards for their top quality oils season after season, this year's Picual is no exception. With a nose that will impress every taster, this exceptional Picual is a must for every pantry. The Picual is the most commonly planted olive variety in both hemispheres, and is the most widely cultivated variety in Spain. The olives for this small-batch award-winning early harvest Picual are crushed within 3-4 hours of being pulled off the tree and are processed at extremely low temperatures. An exceptional olive oil that is well-balanced. Oro Bailen is crafted by one of the most decorated producers in the world. 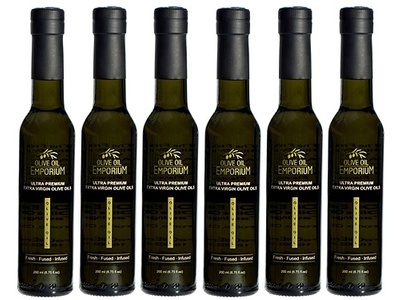 Tasting Profile / Serving Suggestions: This medium intensity, Early Harvest green Picual is a beautiful Spanish olive oil that is intensely aromatic and vibrant green! On the palate is both savoury and grassy, and displays stunning notes of tomato leaf, creamy artichoke and green tea. With pleasing pepper notes and slight bitterness, it is a truly superb and balanced oil, both in the nose and mouth. Great over any fresh cheese variety, seafoods, and salads. A delightful condiment and finishing oil to use virtually anywhere!